The first article, and my first ever article, about Canadian Tri-ang Railways covering the 1965 and 1966 electric train sets was published in ‘TRAIN COLLECTOR’, the quarterly journal of The Train Collectors Society (TCS), and serialised in five parts from June 2009 to June 2010. 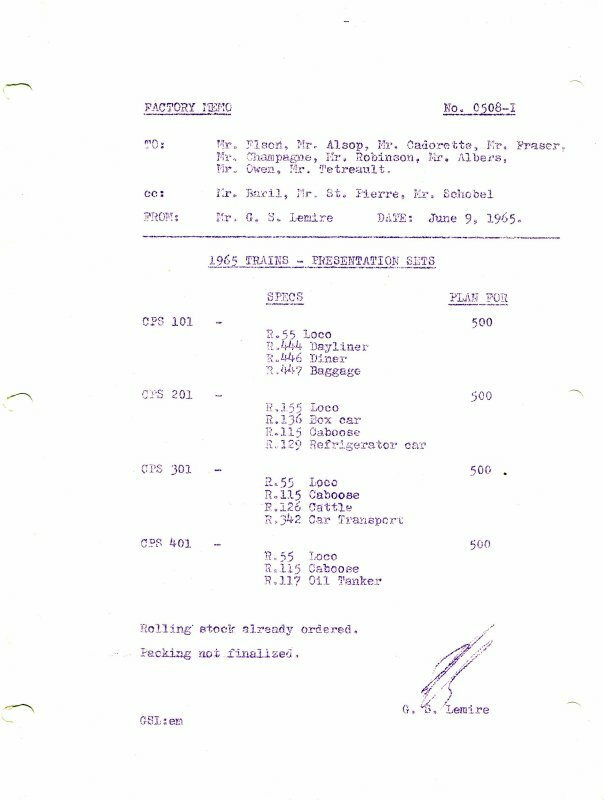 Tri-ang Railways, the acquisition of original factory archive materials from Canada and the generosity, help, support and kindness of many fellow Tri-ang Railways collectors and enthusiasts. ​http://www.tri-ang.co.uk , whose website inspired me to begin the research and who gave his permission for a number of illustrations from his website to be used in the final published article. 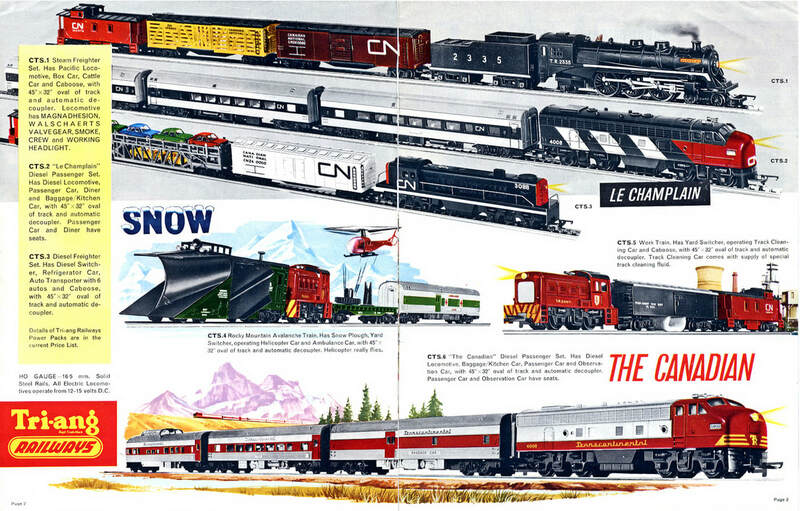 * Brian Schoenthaler - for photographs and information relating to the 1965 and 1966 Special Train Sets. * Terry Walker - for photographs and information relating to the CPS-1 Presentation Set. * Peter Zimmermann - for his research at the Toronto Reference Library. * Pat Hammond - for the use of references from The Story of Rovex Volumes 1 (revised) and 2. * CNRPhotos website, picture gallery. * Coffee Creek, Railroad Car Restoration website. * Wikipedia - for information relating to the Canadian department store chains and mail order companies. * Industry Canada website - Corporations Canada, Federal Corporation database. Since that initial publication a great deal of new information and many new pictures have 'come to light' for which I am greatly indebted to all the many contributors. My thanks to you all, Rolande Allen.